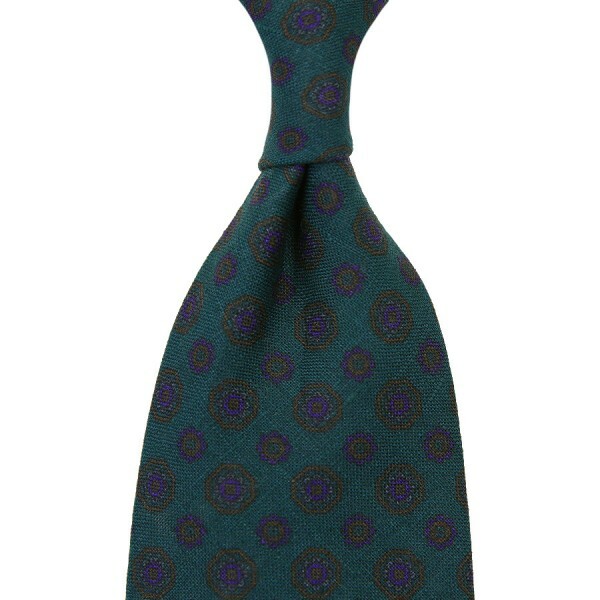 Product information "Floral Printed Madder Linen Tie - Forest Green - Handrolled"
Forest green linen tie with a floral print in brown and purple. Perfect with a checked jacket, light blue shirt, white linen pocket square and blue bamboo braces. Related links to "Floral Printed Madder Linen Tie - Forest Green - Handrolled"